The 3-star Thermal Hotel was built in the area of the thermal baths in 1999 close to the centre of Mosonmagyarovar. The thermal water of the town has been ranked among the 5 most effective curative waters of Europe. The health hotel has a medical surgery, a treatment department and a dental surgery. The wellness centre of the hotel was opened in December of 2002. The 3-star Aqua Hotel Termal and Family Resort located on the area of the thermal bath of Mosonmagyarovar awaits its guests with 74 well-equipped rooms, a restaurant and own wellness and therapeutic section. The hotel guests can enter the bath and use the wellness services of Flexum Medicinal Spa free of charge. Hotel Corvus Aqua awaits its guests in Oroshaza, at the shore of Lake Gyoparos, in an undisturbed natural environment, directly connected to the Spa-, Fun- and Park Bath of Gyoparosfurdo. In Hotel Corvus Aqua high-quality rooms, an own restaurant, event rooms and wellness services are at the guests' disposal. The package offers of the hotel include entrance tickets to the fun bath. 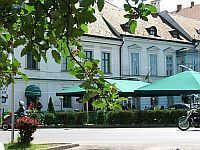 In the heart of Papa, on the beautiful baroque style main square of the city can be found the 3-star Hotel Arany Griff ***. 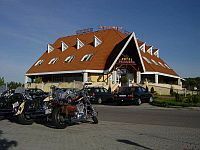 Thanks to its central location Hotel Arany Griff is a perfect starting point for exploring the main tourist attractions of Papa. The newly built Castle Baths of Papa can be reached in a 5-10 minutes walk from the hotel. The spa bath offers thermal pools, aqua park, swimming pools and small pools for the children on 2000 m² water surface. For business travelleres Internet, telefax, projector and copy machine are available in the hotel. 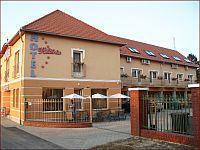 4-star Hotel Kikelet is located in one of the most scenic spots of Mecsek Mountains, right above the downtown of Pecs. 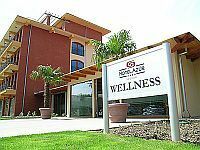 The almost totally renewed hotel offers standard and superior rooms with panoramic view, two restaurants introducing the masterpieces of the fusion of French - Italian - Hungarian cuisines and a wellness centre. In 2009 Hotel Kikelet will be enlarged: 30 new rooms, conference rooms, wine palace and beauty clinic will be created. 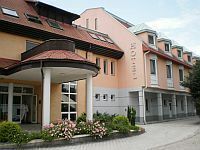 The 3-star Gastland Hotel Atrium is located in the area of Őrség, in the western corner of Hungary, near the Austrian-Hungarian border Rabafuzes. The guest rooms and restaurants of the hotel have a form of high level, but even preserving the traditional Hungarian style, in the atmosphere of days gone by. The restaurants and the conference room are ideal venues for holding business meetings, conferences and other company events and for celebrating family occassions. 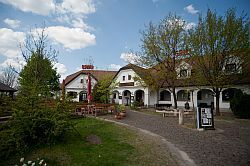 Only 10 minutes from the hotel can be found our restaurant „Székely tanya” which won the prize for one of the best 100 Hungarian restaurants in 2006 and 2007. 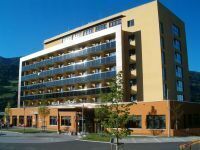 Hotel Termalkristaly, the newest thermal hotel of Rackeve, awaits its guests with standard rooms, superior suites and a restaurant. The hotel offers numerous child friendly services for families with small children. Aqualand Adventure Bath, located in the neighbourhood of Hotel Termalkristaly, offers an unforgettable experience for every generation with its thermal pools and slide park. The event rooms of the 4-star superior hotel, fitted out with modern technical equipment, are ideal venues for smaller or bigger events. The newly built four-star Park Inn Sarvar hotel is located in the heart of the world-famous spa region of Sarvar. The hotel is connected to the state-of-the-art Sarvar Spa with its generously designed bathing landscape and 5000 m² of water area. The hotel has direct access to Sarvar Wellness Complex where massages, fitness and beauty treatments are available. The air conditioned, well-equipped rooms and suites offer idyllic views to the surrounding area.